Milford Sound (Piopiotahi in Māori) is a fjord in the south west of New Zealand, in Fiordland National Park and World Heritage site of Te Wahipounamu. as a tourist destination and as the world’s most famous tourist destinations in New Zealand. Milford Sound along the 15 miles inland from the Tasman Sea and is surrounded by sheer rock as high as 1,200 meters or more, among the top there is a stone that resembles an elephant’s head 1517 meters and 1302 meters in the form of a lion crouching lion. Lush rain forests are among the cliffs, while seals, penguins, and dolphins and whales are often seen. Seals are large mammals of the order carnivore that lived in the area cool. 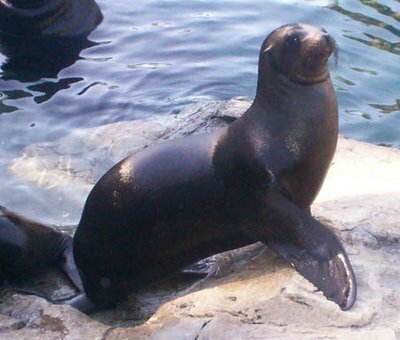 At first, seals belong to the suborder Pinnipedia, but now it has shifted the suborder category to category superfamilia. Currently, the seals put in a joint family Odobenidae Caniformia suborder (marine bear / walrus), Otariidae (sea lions), and Phocidae. Recent molecular analyzes have shown that the seal bears the closest relatives. Another hypothesis says that seals are true seals polifiletik the ancestral form of animals such as otters while the other seal species derived from a common ancestor of animals such as bears, but recent molecular studies that have been mentioned previously to ensure that all types of seals is monophyletic, which is derived from a common ancestor. Penguin or penguin is an aquatic animal species of birds that can not fly and generally live in the southern hemisphere. 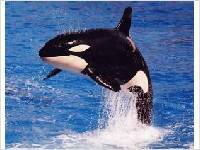 Generally penguins eat krill (a type of shrimp), fish, squid and other aquatic animals are caught while swimming in the sea with its beak. 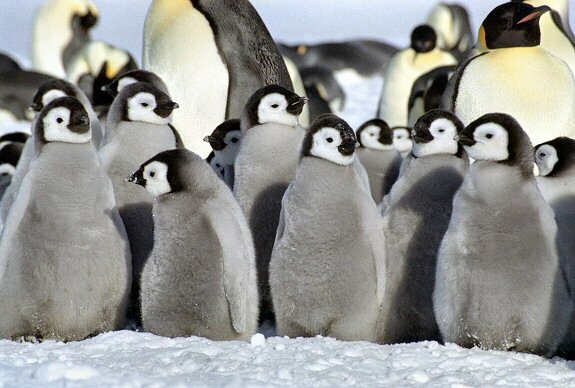 Penguins can drink sea water because the body supraorbital gland filters excess salt from the sea of blood flow. Salt is then expelled in liquid form through the respiratory tract penguin. With the average rainfall is 6813 mm in 182 days a year, rather high, the highest on the west Coast, Milford Sound is known as the wettest inhabited place in New Zealand and one of the most lucrative in the world. Rainfall may reach 250 mm during the period of 24 hours. rainfall will make dozens of temporary waterfalls, cascading down cliffs reaching a thousand meters. Small water falls from a height such that it can never reach the bottom. Accumulated rainwater can at times cause portions of rain forest trees have avalanches. The rain forest regrowth after these avalanches can be seen at several locations. The Stirling Falls are named after the captain of HMS Cleo. Fjords is a playground for the local Maori who have knowledge of local seafood including tidal patterns and eating fish from generation to generation before the arrival of Europeans. fjord that remain undiscovered by europoeans up with the name of the sealer Captain John Grono found (1812) and named Milford Haven and considered as the homeland of Wales. later renamed into Milford Haven Milford Sound. Fjords of land, an area that is often explored by New Zealand until the 20th century, led to the natural beauty of Milford Sound is very interesting and well-known nationally and internationally, and are associated with the discovery of MacKinnon Pass in 1888, this area became part of the new Milford Track , this is an initial path of tourism. In the same year, trowongan between the Hollyford River and the River Cleddau found, where the tunnel was to be developed about sixty years later to provide the access road. 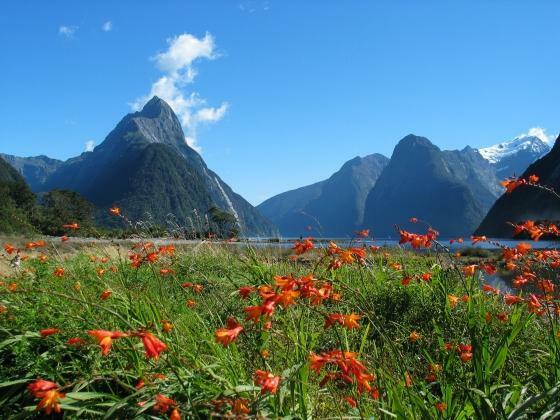 In the 2006 census, only 120 people lived in Milford Sound, most of them work in tourism or conservation. 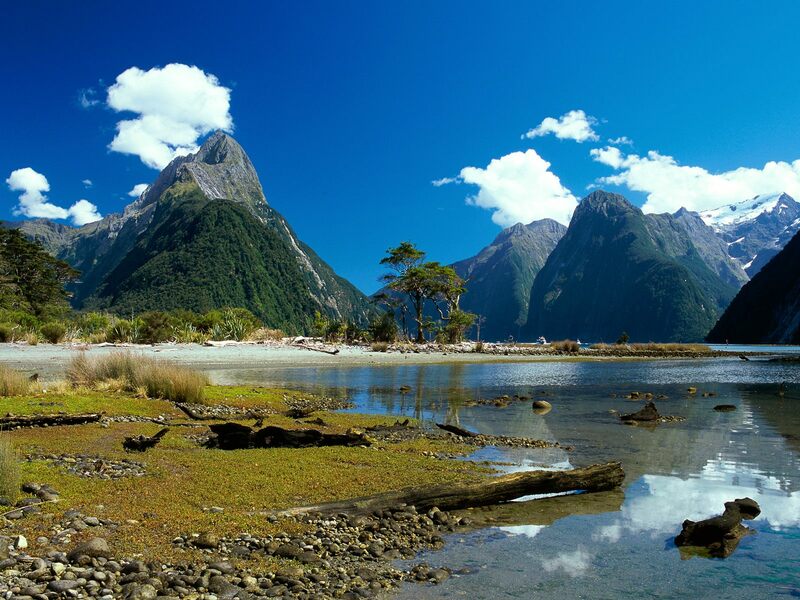 See the cliffs and waterfalls after dry season, a two-storey tourist boating Mitre Peak, towering over Milford Sound. The beauty of this landscape draws thousands of visitors every day, with millions of visitors per year. make the most frequently visited New Zealand, and also the most popular, even with its remote location and the long journey from the nearest population centers. Virtually all travelers choose one of the boat tours which usually last between 1-2 hours. . 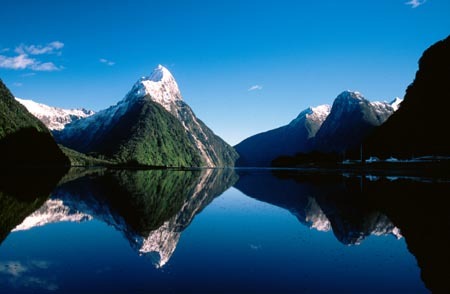 There is also the option of extended overnight cruises on Milford Sound. Tramping, canoeing and some other water sports also allows to do. A small number of companies also provides overnight boat trips. there is only limited accommodation and only a very small percentage of tourists stay more than a day. An underwater tourist observatory found in one of the bays give the appearance of black coral, usually only found in deeper waters. Dark surface layer of fresh water, stained by tannins from the surrounding forest, allows the corals to grow close to the surface here. During the visit of rainy days and stormy winds can admire the game with a lot of waterfalls in Milford Sound. When looking at the cliffs buffeted by strong winds, leading to the waterfall looked up, it’s amazing. Milford Sound is 295 km from Queenstown and 279 km from Invercargill (about four-hour trip), with most of the tour buses depart from Queenstown. Some tourists also come from other tourist centers, Te Anau, 121 km. There are also sightseeing flight conducted by light aircraft and helicopters from the airport travel and Milford Sound. Travel to Milford Sound itself passes mountain views, before entering the 1.2 km Homer Tunnel, winding mountain road, and when rain falls, it is prone to avalanches and frequent closures during the winter half-year.